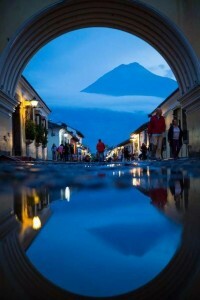 Antigua, Guatemala! We love this quaint little town with cobblestone streets. The “perfecto” downtown square, a beautiful fountain and the white with yellow arches of a captivating Cathedral to view from a comfortable park bench! Along with Agua, the majestic volcano, that once flooded this small town and changed it forever. This beautiful mural almost does the once capital city of Guatemala justice… The only thing more beautiful than this picture, are the amazing people who live, breathe and walk the streets of the nation that was the deciding vote to make Israel a nation!